Hands down, this delicious vegan tomato soup made with fire roasted tomatoes and topped with crunchy roasted chickpeas may be the best tomato soup I have ever had. As a rule, I don't usually use canned tomatoes when I make vegan tomato soup, but weirdly I didn't miss the fresh tomatoes. If you have never used canned fire roasted tomatoes before, they have a warm fresh-from-the-grill smoky flavor. They are also inexpensive. If you want, you could easily use fresh tomatoes because fire roasting vegetables are easy to do. Just fire up your grill and brush your tomatoes with a little olive oil. Place them on the rack and let them cook for about 5 to 8 minutes depending on the size and ripeness. But in my opinion, canned tomatoes can be better than fresh when you are making sauces and soups. In addition to the fire roasted tomatoes, I also added some fire roasted red peppers to the vegan tomato soup. This really amped up the flavor profile. I topped it off with some crispy, crunchy, roasted seasoned chickpeas that added a little heat and sweetness. The secret to getting chickpeas extra crispy is to dry roast them first, and then season them the last 10 minutes or after you take them from the oven. 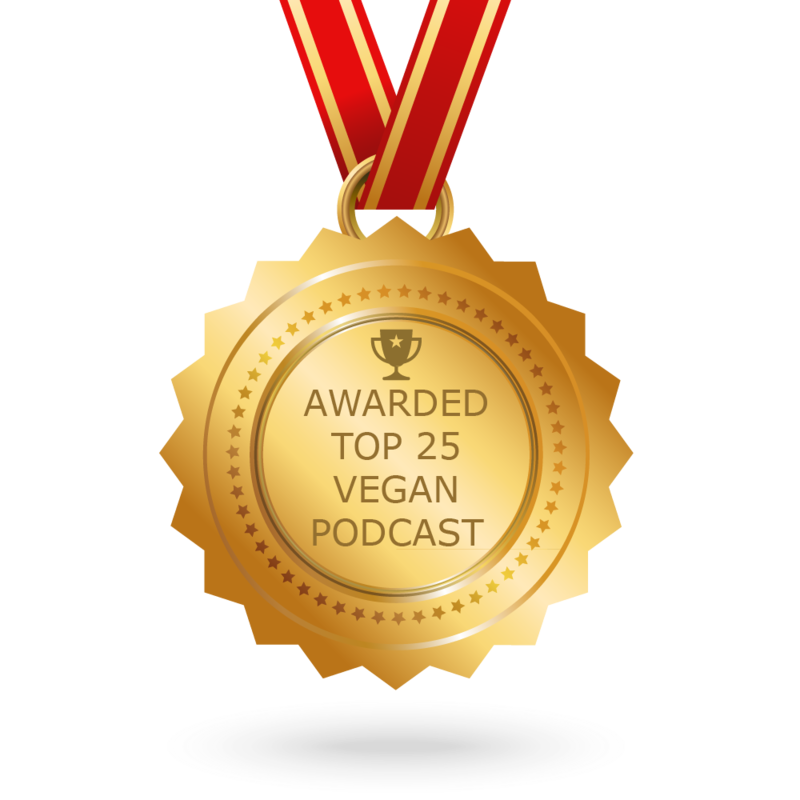 Hope you enjoy this delicious vegan tomato soup as much as we did. 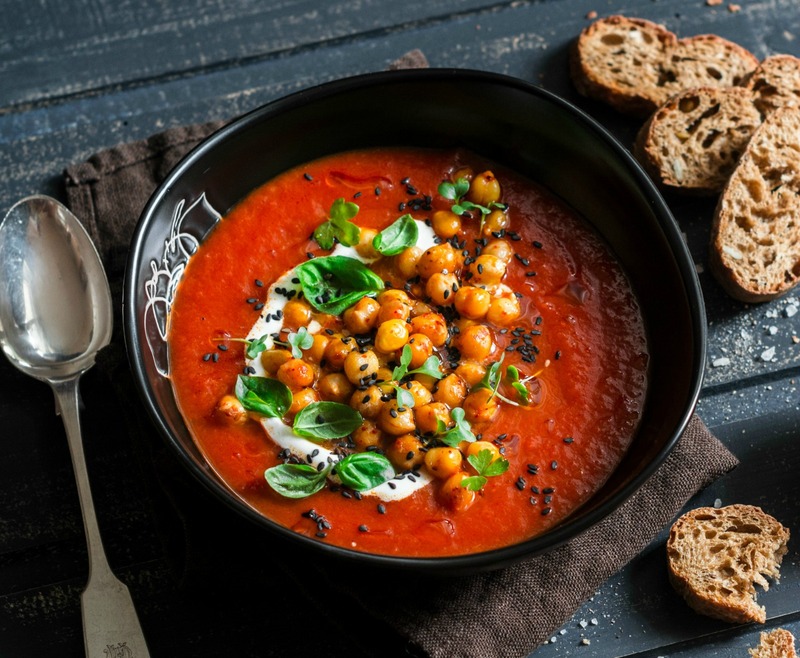 If you appreciate the combination of tomatoes and chickpeas, you will love this Chickpea Soup with Cabbage, Tomatoes & Basil or my Garbanzo Bean Soup with Tomatoes and Pasta. Two Ordinary Vegan favorites! 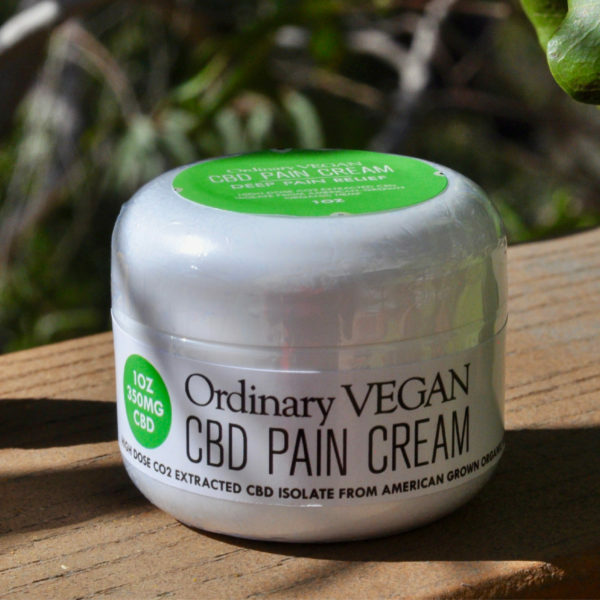 Last but not least, many people in the wellness world are turning to cannabidiol, commonly referred to as CBD Oil from Hemp for its powerful natural anti-inflammatory properties for regulating muscle pain and stress response. 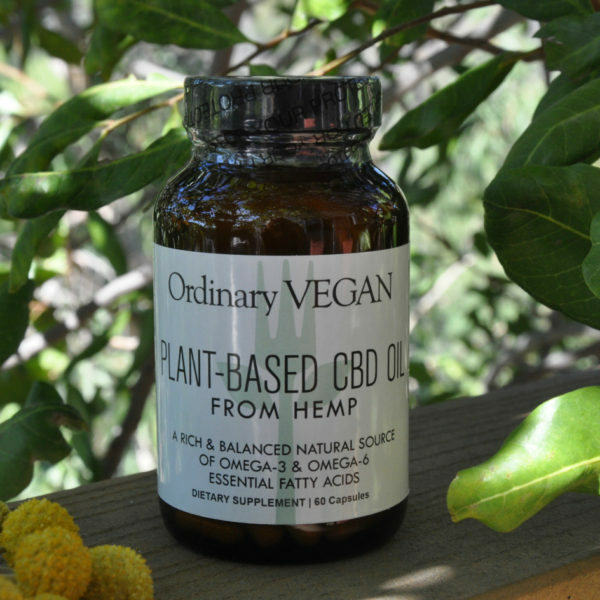 No matter what your particular ailment may be, CBD oil from hemp may be able to help. 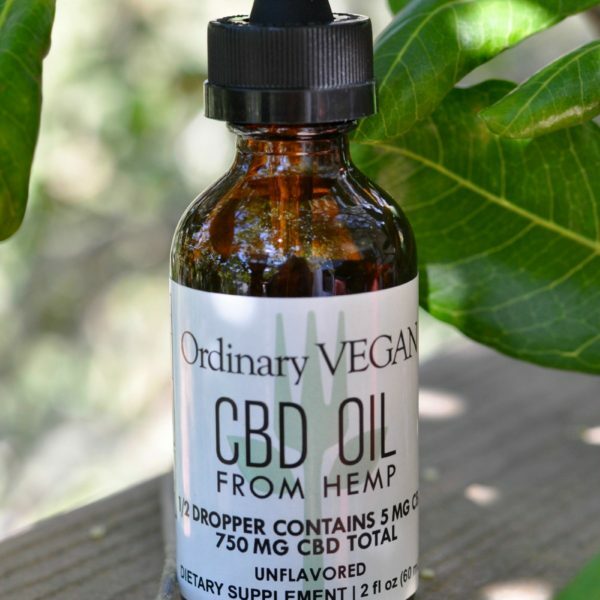 You can now purchase a safe and effective vegan CBD Oil from Ordinary Vegan. 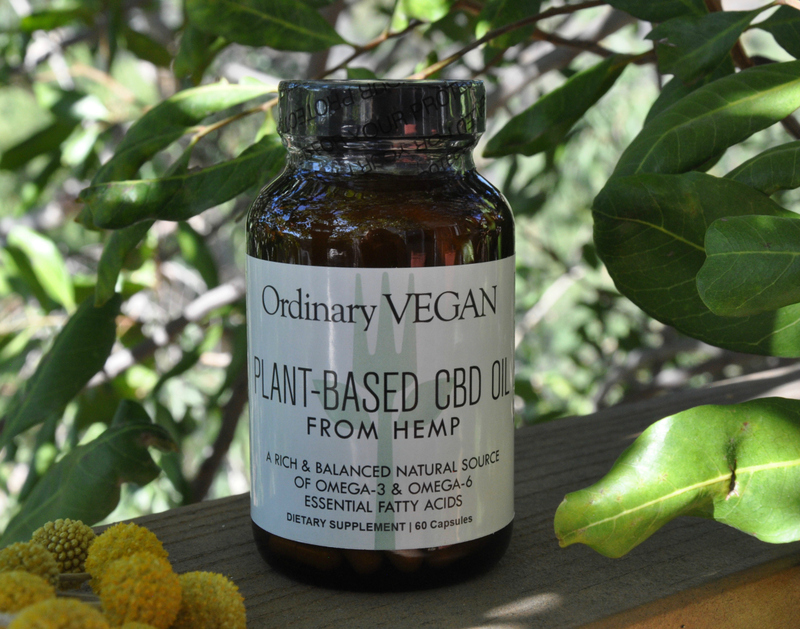 My mission is to provide you with the highest quality CBD Oil from Hemp on the market. I hope it can help you. 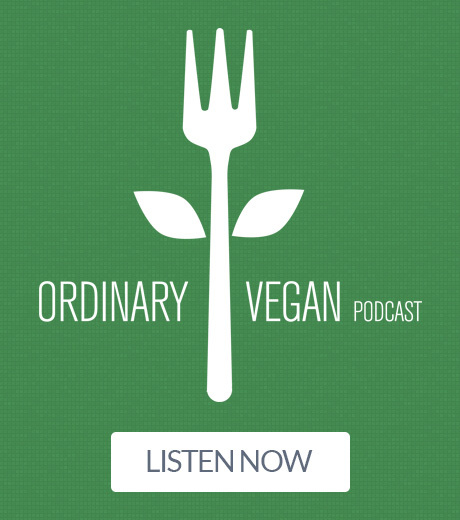 Don't hesitate to email me with any questions – questions @ ordinaryvegan.net. Learn more about CBD Oil from hemp here. Hands down, this delicious vegan tomato soup made with fire roasted tomatoes and topped with roasted chickpeas is the best tomato soup you'll ever have. In a large soup pot, heat the ½ cup of vegetable broth. Add the onion and celery and saute until soft and translucent adding more vegetable broth if sticking. This should take 3-5 minutes. Add the flour, Italian seasoning, red pepper flakes, salt and ground black pepper. Saute for another 2 minutes stirring constantly. Add the tomatoes, roasted red peppers and bay leaf. Stir to combine. Meanwhile combine the vegetable stock and white wine in a saucepan and bring to a simmer. Add the hot liquid into the vegetable mixture, stirring. Bring to a simmer and cook on low for 20 to 25 minutes. Remove the bay leaf. Let cool 5 minutes. Using a food processor or blender, blend the soup until smooth. Taste for salt and pepper. Return to soup pot to heat up. Ladle into bowls and top with crunchy garbanzo beans and chopped basil. Optional garnish - a drizzle of vegan sour cream and some black poppy seeds. Place the rinsed chickpeas in a bowl. Toss with the olive oil. In a small bowl combine the cumin, chili powder, cayenne, salt, and pepper. Sprinkle on the chickpeas. Place the chickpeas on a baking sheet lined in parchment paper. Place in the oven and roast for 20 minutes stirring once. Sprinkle the seasoning evenly on top of the chickpeas and roast for another 10-15 minutes or until the chickpeas are crispy. You can also season them after roasting. I do not like chick peas. Is there any other I can use? Thanks!!!!! Hi Linda – Croutons would work and give you that crunchy textural note. You could season them also but omit the brown sugar. Hope that helps and have a wonderful day! Hi Nancy, hope you’re well. I never thought I would make homemade tomato soup, but this recipe sounds amazing. Can’t wait to try it. Hi Janet – So nice to hear from you. Hope you enjoy it! This sounds delicious and I’m definitely going to try it! Hope you enjoy it Heather!